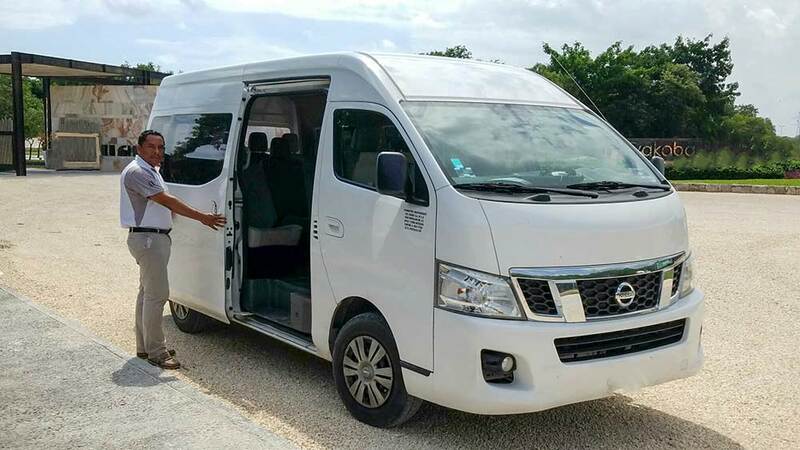 Playa del Carmen Round Trip Discount - Choose your return Playa del Carmen transfer when booking and receive a 10% discount on the return transfer in addition to our low prices. Hotel Booking Discount - Book a hotel with us and receive an additional 15% discount code to apply to your transportation service. Click here for details. Hotel reservation must be a minimum of a 3 night stay. After we receive a hotel reservation confirmation we will send an email containing the discount code to apply to your transportation costs. If you do not receive this email please contact us with your confirmation number and request a "transfer discount code". We provide transportation solutions for all destinations throughout the Riviera Maya and Yucatan Peninsula. Travelers will find common transportation options including Cancun to Playa del Carmen or Playa del Carmen to Cancun below. Whether traveling to/from the Cancun airport or to/from other locations in Cancun we have a simple private transfer service. Playa del Carmen is located approximately 45 minutes south of the Cancun airport by vehicle. The highway is one of the nicest found in Mexico providing travelers a safe way of transportation throughout the Riviera Maya. Our drivers provide a professional service and strive for complete satisfaction, all at affordable pricing. We provide a complimentary 10 minute stop if needed and offer additional hourly services for those needing longer stops. If you do not find what you are searching for here please visit our Cancun Airport Transfers for additional options. Do not hesitate to contact us with special requests by using the contact form at the bottom of this page. Please read and understand the policies to avoid unnecessary charges. 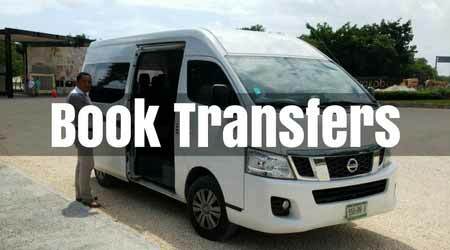 All transfers except to/from Holbox include a private vehicle for up to 8 passengers. Airport transfers will be monitored by the flight information provided with your reservation. If your group has multiple arrival times, use the last flight arrival information at check-out to avoid additional fees for delays. Delays caused by passengers will incur extra fees. We do NOT charge for flight delays as long as we are provided the flight information. For groups arriving on different flights and different terminals there will be an additional fee of $50 peso's minimum to compensate the transportation provider. Drivers will make one short 10 minute courtesy stop if needed. If you would like to stop for an extended period of time, whether to shop, eat, or any other reason, you can add this to your reservation for an additional $30 USD per hour. Transfers cancelled more than 48 hours in advance receive full refund. Q: How are the prices so affordable? A: Volume. We have been doing this a long time and the volume we provide allows us to negotiate the best prices online. Q: How much time is needed when scheduling a pick-up to the airport? Q: Do we have to share a ride with other people? A: No. Rates displayed are for "private" shuttle transfer. Q: What kind of vehicles are used? A: Air conditioned vans with a capacity of up to 8 persons. Q: Does the ride make stops? A: Not typically. If needed the driver will stop at a gas station sometimes or if passengers need to make a quick stop. Q: What if our flight is delayed and we are not there at the designated time. A: Our airport transportation provider will be waiting for you as long you are arriving the same day. For longer delays we recommend you contact our airport shuttle provider via telephone [phone number is on Confirmation Voucher]. Q: Our flight is coming in very late. Can we still get a transfer? A: Yes, our airport shuttle provider will be at the airport until the last flight arrives. Q: Is there a limit on how much luggage we can take? A: This depends on the number of passengers you are traveling with. This is not typically an issue but if your group is large and has an excessive amount of luggage inquire with us to check. Q: My husband is in a wheelchair. Is this going to be a problem? A: Generally no, please advise our airport shuttle provider at the moment of reserving for more details. NOTE: We are sorry but we cannot accommodate "motorized wheelchairs". Q: Are there seat-belts for my children? A: All seats in the van do have regular seat-belts. If you need a child safety seat please let us know if the comment area at check-out or by contacting us through email prior to pick-up. Q: Are the drivers experienced licensed bus-drivers? A: All drivers are experienced drivers with federal permissions. A: Regularly our airport shuttle provider does permit pets as long they are in a cage. Depending on the size of your pet, there might be an extra charge. Q: How do we get to Cozumel. Can you take us to the ferry docks in Playa del Carmen? A: Transfers take you to the ferry dock in Playa del Carmen where you will purchase ferry tickets to Cozumel. Once you arrive in Cozumel you will have the option to take a short taxi ride to your hotel. Q: We only wish a transfer from Cozumel to Cancun airport. Where do we get picked up? A: The closest point you can be picked-up is the ferry dock in Playa del Carmen. You will make a reservation for a one-way transfer from Playa del Carmen to the airport and request the pick-up location at the ferry dock from Cozumel. Getting from Cancun to Playa del Carmen is easy with our transportation services. Travel Yucatan has an office in Playa del Carmen with English, Spanish, German, and French team members. Our website provides value added services to travelers throughout the Yucatan Peninsula including discount hotels and tours. We use state of the art technology and continue improving our services. Please reach out and let us know how we can help! Excellent service. 5 stars. Our driver was prompt and very friendly. Use this form if you have questions or need custom quotes for destinations not listed. Provide all important details if requesting a custom quote for transfers. This should include flight information, number of passengers, pick-up and drop-off details, preferred pick-up times, phone number, and any other details that will help us with accuracy.